Ever wanted to build your own solar system? Well, here's your chance! 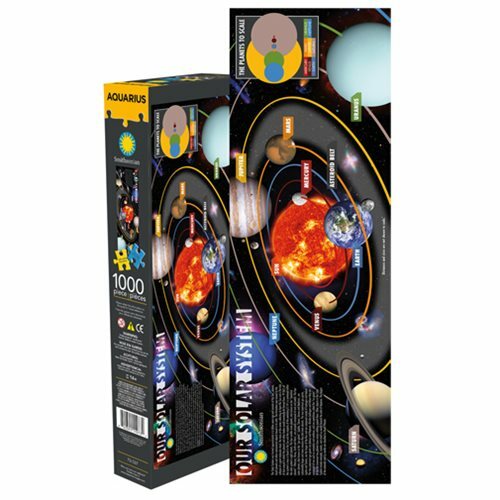 This awesome Smithsonian Solar System 1,000-Piece Slim Puzzle features bright colors and informative text, and it measures 12-inches tall x 36-inches wide when fully assembled. Ages 14 and up.